The aim of this trial was to determine the effectiveness of a new product, MI Paste Plus (GC America, Alsip, Ill), in the prevention or reduction of white spot lesions in orthodontic patients. 60 patients aged 12 and over who were undergoing routine orthodontic treatment were randomized to receive either M1 paste (n=26) or placebo paste (n=24). M1 paste contains casein phosphopeptide amorphous calcium phosphate, a special milk-derived protein. The pastes were delivered in a prefabricated fluoride varnish tray and used for a minimum of 3 to 5 minutes each day at night after brushing for 3 months. Photographic records obtained in a light-controlled environment were used to record the presence or absence of white spot lesions in both groups. The enamel decalcification index was used to determine the number of white spot lesions per surface at each time interval. The enamel decalcification index scores for all surfaces were 271 and 135 at the start of treatment and 126 and 258 at the end of treatment for the MI Paste Plus and placebo paste groups, respectively. The enamel decalcification index scores in the MI Paste Plus group reduced by 53.5%, whereas the placebo group increased by 91.1% during the study period. MI Paste Plus helped prevent the development of new white spot lesions during orthodontic treatment and decreased the number of white spot lesions already present. 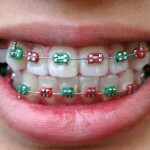 The placebo paste had no preventive action on white spot development during orthodontic treatment; the number of lesions actually increased. MI Paste Plus reduced white spots on the gingival surfaces; the placebo paste had the opposite effect. The incisal surface effect on the mean enamel decalcification index scores over time and between products was highly significant. The incisal enamel decalcification index scores were consistently higher than those for the other surfaces (mesial, distal, and gingival). Robertson MA, Kau CH, English JD, Lee RP, Powers J, Nguyen JT. MI Paste Plus to prevent demineralization in orthodontic patients: A prospective randomized controlled trial. Am J Orthod Dentofacial Orthop. 2011 Nov;140(5):660-8. PubMed PMID: 22051486. This is just one small trial with promising findings further confirmation from larger studies would be helpful to confirm these findings.